A new environmental measure is taking some of the older senators back to their childhood days — a bottle deposit program proposed by Sen. Brian Frosh. In an effort to further boost recycling in Maryland, Frosh has taken that old, familiar program and modernized it in his bill. He presented the bill during a Senate Education, Health and Environmental Affairs committee hearing on Tuesday. “It’s something we haven’t seen in a while, but this [bill] has the potential to triple the recycling of bottles and keep them out of our waterways and streams,” said Frosh, a Montgomery County Democrat. Under the program, retailers would be required to pay the state comptroller 5 cents per bottle as a deposit that consumers would get back when they returned the bottles. Counties would need to set up statewide bottle reclamation centers. The centers would likely be reverse vending machines, allowing people to return bottles for the 5 cent deposit. But not everyone is ready to cooperate with the proposed system. Central to the opposing argument is the assertion that the initiative is outdated and, essentially, trying to fix a system that already works very well — curbside recycling. “The bottle bill died a natural death in the late 80s and the reason for that was because curbside recycling came along and it has been tremendously successful,” said Jay Schwartz, a lobbyist for the Maryland Licensed Beverage Association. 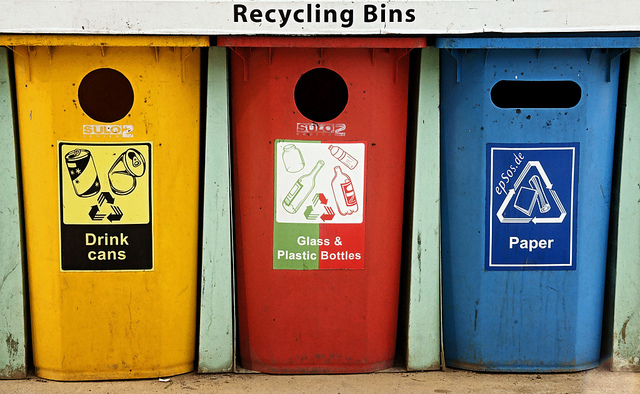 Proponents of the bill tried to frame the perceived conflict between curbside recycling and the bottle bill in a different light, suggesting that the two can work symbiotically. “Independent research from the Congressional Research Service states that both a bottle deposit return program and a curbside recycling program run in tandem are necessary to achieve high recycling rates,” said Veronica Cassilly of the Sierra Club. Representatives for small businesses were still not enamored with the changes proposed by the bill, especially the required hike in beverage costs that would impact retailers and consumers. The economic implications of the bill are hard to predict because it is dependent on community participation. The fiscal and policy note, an analysis written by the Department of Legislative Services, predicts the bill could bring in millions of dollars in local revenue as early as 2015. But Kevin Dietly, an environmental management consultant for Northbridge, thinks that might be a little optimistic. Sen. Allan Kittleman’s colleagues on a Senate committee were clearly unhappy with his legislation that would force most of them to commute and no longer reimburse their lodging in Annapolis during the session. Kittleman, R-Howard and Carroll, has again introduced legislation that would restrict the housing stipend legislators are permitted during session – a maximum $101 per day – to those living more than 50 miles from Annapolis.